Bellevue is seeking a vision for each of its six selected light-rail stations. Station planning will continue until 2015, with topics of discussion including pedestrian and bicycle access, land use, and development. A driver ran into pedestrians saving a parking space for their friend on Third Avenue South. The men were left with just minor scrapes, and officers ruled in favor of the pedestrians. Registration for National Open Streets Training is now available. The project, which focuses on the temporarily closing of streets to allow for walking, biking, and other activities, requires a variety of planning processes. The training sessions will focus on factors such as building a collection of supporters, marketing and branding, and choosing a route. A new law signed last week in Oregon will make walking more welcome on narrow streets. The law, which can be applied to streets no wider than 18 feet shoulder to shoulder, means that pedestrians will no longer be required to yield to drivers on these streets. Construction crews are installing new sidewalks and crosswalks at a Detroit public school, which received a Safe Routes to School Grant, along with seven other Michigan schools. One city in America has banned cars since 1898. Mackinac Island, located in Lake Huron off of mainland Michigan, has limited transportation to walking, biking, and horse-drawn carriages. The city is also home to the nation’s only carless highway. The Los Angeles Metro unveiled a new crime-reporting app to allow train and bus commuters to report crimes and to enhance the safety of the system. A webinar, “Health and Environment – An Interdisciplinary Approach to Healthy Aging,” will take place Tuesday, July 9, from 11:00am – 12:30pm. The webinar will focus on the importance of physical activity and walking as one key ingredient to maintaining health as we age. New Jersey Transit is expanding its focus on transit-related deaths to include suicides. There have already been nine suicides on its rails in 2013, setting pace to reach 16 by the end of the year. NJ Transit plans to promote a hotline and to increase police presence at their 164 locations. Read about the Top 10 Rail-Trails for American History, including the Heritage Rail Trail County Park in Pennsylvania, the Historic Battlefield Trail in Texas, and the White River Trail in Nebraska. Los Angeles recently voted to turn Broadway, a busy thoroughfare, into a more pedestrian-friendly street. The first phase of the project will turn six lanes of traffic into three and add 24-hour curbside parking to facilitate. A recent study found that walkability helps to shape engagement in political activism or social movements. Using census data from over 30,000 zip codes, the researchers argue that social movement organizations are strongly correlated to a variety of city elements, including population density, mix-uses, and connectivity. Seoul plans to help Afghanistan to construct a transportation system. South Korea will help to provide their experience in operating and maintaining a nationwide system under a Memorandum of Understanding. 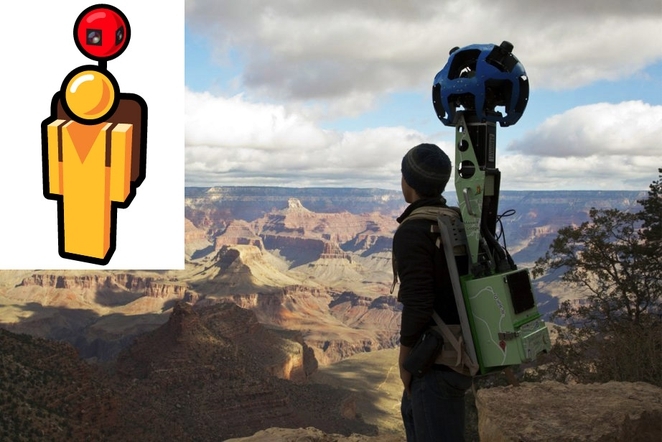 Interested in borrowing Google’s trekker backpack? Those interested in carrying the 42 lb backpack to capture images in a unique portion of the planet can now apply for the job. Ride-sharing is booming in the Europe, with its Blablacar program already transporting three million people. The company is expected to transport 10 million people by the end of the year. The United States has not had quite the same success with similar programs, possibly due to structural issues and less trust between strangers.